Connected customers typically challenge the time and resources business managers and frontline staff have to deal with queries, claims, orders and after-sales service. Is automating repetitive processes using a combination of algorithms, robotic process automation (RPA) and full-on AI a solution? Abeed Rhemtulla argues the case that if you cannot implement analytics effectively how can you be trusted to deploy AI? See "Damning analysis of Analytics?" Data is usually the reason- incomplete, inaccessible, out-of-date, corrupted- often all four! Enterprises often cannot access 60%, 70% even 80% of its data hidden in silos and/or unstructured formats. That's why BI and Analytics so often disappoint and why AI could just supercharge the disappointment. BI and Analytics needs the whole organisation from frontline to CEO to be team players. See how in "Analytics is a Team Sport". which links to good McKinsey Advice. Do you believe that BI & Analytics are already here and RPA & I the next step? If so, just check they deliver the goods. If your people spend more time arguing over who has the right data rather than the best insights your data capabilities are probably flakey. In which case get those sorted first before reaching for the RPA and AI pills. Last October, Babson professor and analytics expert Tom Davenport reported how he encountered several companies at Salesforce’s Dreamforce conference that wanted “to ‘leapfrog’ over traditional business intelligence and analytics capabilities and go directly into AI-related environments.” He noted how one manager admitted her non-profit organization had used almost no analytics in the past but was excited to jump into AI. Another technology executive mentioned to him, “We’ve had enough bar charts. Nobody has time to digest them anyway. We want our analytics to tell people what to do.” With many organizations still struggling to embrace data, analytics is still an area that all companies need to address before diving into artificial intelligence. 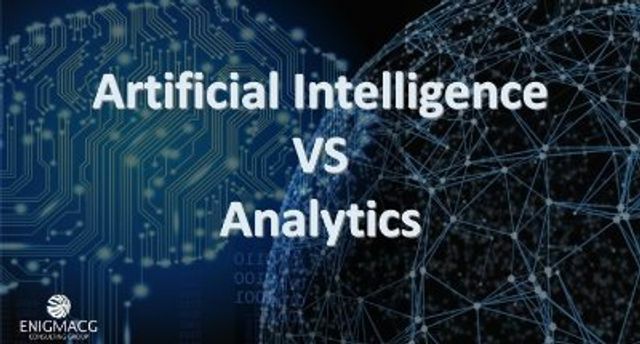 Bypassing analytics is not a shortcut to AI because analytics maturity is a key milestone on the path to being successful with AI.